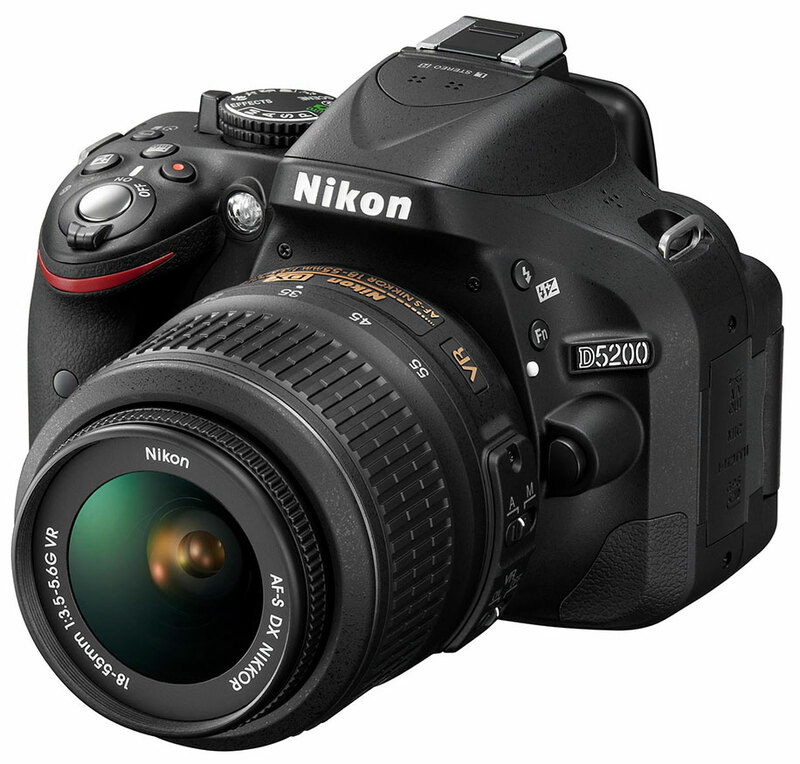 The Nikon D5200 is a great camera for the price, but it has a few small problems for film makers using this DSLR. I’ve been using the D5200 for a while now and have just started exploring it’s HDMI output option. The lure of uncompressed 4:2:2 video using an external HDMI recorder is a pretty tempting feature of this camera, but it doesn’t come without it’s caveats. These caveats are not very well documented, especially in the manual, and I tend to get the impression that’s no accident. Nikon have deliberately muddied the water around the HDMI output features to presumably take the attention off the fact that it can’t do many things you’d expect it to do. Let me name a few. When recording on the camera at the same time as using the HDMI output, your HDMI video will drop to 1280 x 720 resolution. When taking a picture in Live View with HDMI active, the HDMI video will go black as the shutter is activated. In order to get full, non-cropped video in the HDMI output without the on-screen display or the auto focus box, you have to press the “info” button located on top of the camera several times. Great, but doing that gets rid of the audio level meters on the camera’s lcd. Sure, you can monitor audio levels through HDMI, but it’s just another feature that’s been overlooked. But the big one for me is this. Regardless of your movie settings or wether or not you have PAL or NTSC selected as a format in the menu, your HDMI output will always be a NTSC standard. If you select HDMI = “Auto” in the menu, you will get 1080i at 59.94fps. If you select HDMI = “1080i” in the menu, you will also get 1080i at 59.94fps. If you select HDMI = “1080p” in the menu, you will get 1080p at 29.97fps. If you select HDMI = “720p” in the menu, you will get 720p at 59.94fps. So there is no chance of getting 25fps or 50fps out of HDMI! To bad for all the film makers in PAL counties, looks like you’ll have some conversion work ahead of you if you want to take advantage of the uncompressed HDMI video feature. These tests are all done using my Black Magic Intensity Pro capture card. I’d be interested to hear how others get on. 1. In the SHOOTING MENU select Movie Settings > Frame size / Frame rate and select 1920×1080 (the choice of frame rate is down to your preference)” – Clearly not!!! After much research and contact with Atomos and Blackmagic I have come to the same conclusions as you in the last few paragraphs. I had to return the Blackmagic Mini Recorder as that clearly didn’t work. Was going to go after the Hyperdeck shuffle or Ninja 2 but not now!!! as I need pal @25/50 FPS. There are so many myths out there and i’m not even sure they even know what they are recording at. And to be honest from my conversation with Nikon not sure they even know what comes out of the D5200. Very, very useful article Jamie, and good follow-up comments from Allan too. We could not get anything other than the NTSC related frame rates out of the HDMI port on the D5200, which is not much use to us in the UK. We had many conversations with technical support at Nikon and they all seemed unaware that the D5200 would not send out 1080 50i or 25p on the HDMI. Furthermore, there are Atomos support documents which suggest that the H2S HDMI ->SDI converter will take 1080 50i from the Nikon D5200 and pass this through to SDI. This is clearly not the case. As you both say, information on this is very vague, and in many cases incorrect, on the web, so hopefully more people stumble upon your post before spending countless hours researching and testing the D5200. All in a days work I guess. Thank you SOOO much, I had looked everywhere trying to find the solution the the video cropping issue on Hdmi output! I have recently bought a Nikon D5200 to be used with my Blackmagic Atem 2. Even set at 50 ips it works at 59,9 (if I set the Blackmagic it works). I think that it’s a shame that Nikon pretends technical infos that are absolutely wrong. Thanks so much for your most informative article. Using the HDMI out of the 5200, and connected to a Liliput Monitor, upon pushing the record button, led, and viewfinder both go black, and monitor doesn’t even reflect that camera is recording. THIS is a real bummer. I thought that my 5200 had a flaw. The flaw is the inability of the HDMI output to function properly. Thanks again for your article. I feel I should mention the Nikon D5500 has this exact same problem. Whether in NTSC or PAL mode it will always stick with the NTSC standard of 1080i @ 59.94fps, 1080p @ 29.97fps, so on and so forth. The bigger issue here is that the Nikon D5500 is advertised as supporting 1080p at 60fps and 50fps (59.94fps for NTSC) and it will do both “while recording on the camera,” but over HDMI it is limited to 29.97fps… a huge let down for me and a determining factor as to why I’ll probably return it. So I’ve set the HDMI output resolution to 1080i and the Nikon now outputs 1080i59.94. Now I could select 3:2 pulldown on the ninja by pressing the blue arrow next to the frame rate multiple times. The article says that I have to have a moving image on the camera so the ninja can recognise the frame rate, however, I did not get this work. When in switched to the menu on the camera the ninja suddenly enabled and I can now record in 23.98 FPS 1080p on the ninja with my Nikon D5200. There are two types of progressive. Actual progressive that sends progressive frames, and PSF progressive that packs progressive frames in a form that displays SOMETHING if it’s not recognised, and becomes true progressive if it is recognised by the display/recorder. PSF is ok for consumer use, displaying images or even videos when high precision is not required. By SOMETHING I mean that it typically contains errors in compression fields which leads to additional compression artifacts, and/or it shows interlacing, also motion problems if it’s 24PSF. There are also bugs the come into play depending on implementation. The above applies to 25PSF and 30PSF. The simple pulldown cases. 1 frame in 2 interlaced frames. 24PSF is very tricky. It has to be dynamically detected. Many Atomos devices do this and support it, but consider it a bug, not a feature. On the other hand, the simple pulldown (30PSF and 25PSF) are fine in Atomos. In HDMI outputs, PSF is usually not a problem. In HDMI, all these strange things happen. Check the specs of cameras and recording devices and also check the specs on the same site (lets say Nikon DXX00 specs). Make sure both the camera and device use the same output format. If it does not list 25PSF is does not support 25PSF. It may list 25P but which is what more expensive camcorders output, but that does not solve our problem. PSF can also be interpreted by the editing app, if the implementation is without bugs. The material will possibly contain extra artifacts compared to PSF that was recognised before it was encoded by the recording device, which is of course, the ideal scenario. Some recording devices do not even support PSF in HDMI, and Blackmagic Video Assist is one of them. It does support it in SDI. There are HDMI to SDI converters, but again check for 25PSF input and 25PSF or 25P output support, and also verify the SDI device supports the specific PSF format. Always check the output with fast motion and fast shutter. D5200 appears to have an option for both 1080i and 1080p for its HDMI output. That means it does send some form of progressive. PSF and not P I imagine. What we do know for sure is the 1080i setting will produce PSF if your are recording progressive and interlaced if your are recording interlaced. It is possible, but I see no reason why Nikon would not output 50i. That would be very strange. They output 30PSF and 24PSF in 60i, I don’t see what the problem or intention would be. I would say that the reasonable thing is to believe that when the camera records PAL and the HDMI is set to progressive. the output should be 24PSF or 25PSF (depending on PAL recording format) both in 50i. If there is no 50i output but 60i instead, that would be very strange from an engineering point of view, two output formats from the same chip? Why would they bother to implement that and actually write the conversion process? It would also be a major output format bug which I find unlikely in such a product. There are some old devices that do not support 60i. Also, the manual mentions when recording 60i/60p (not the 24/25/30p we are typically using) the chip will turn the camera screen off. I guess the chip can’t handle both at high frame rate. 24PSF on 60i works as intended, It’s tricky to record and handle, but it can be done if the material is verified on the editor. Perhaps 25PSF on 50i also works. Perhaps 24PSF on 50i also works. Using 24P in 50hz lighting countries, is no big deal. Foreign productions do it all the time. 1/50 and 1/100Hz shutters etc. Even Panavision have guidelines for this. Nobody really cares for extremely fast shutter under artificial light (that would lost light and unnatural movement), and if they do for some purpose, they get engineers to help them do it. If PAL is indead faulty, 24PSF on NTSC 60i recording is the way to go for PAL “film” and “tv” (easy conversion) and 30PSF on NTSC 60i for youtube etc. If Atomos handling of 24PSF works for you (hand waving etc), that’s ok. If it doesn’t, or if your don’t want to bother with this, you can do it in the editting software, so Atomos and Blackmagic Video Assist will both work fine, with the possibility of some minor artifacts. And if anyone cares, 220mbit is considered close to the in-camera 25mbit recording by pixer-peepers or people who shoot “tests” not actual films. In these tests there is no motion, modern cameras have very bad shutter quality anyway, so they will not show the quality difference. In the real production world, a portrait close up will break under 25mbit even when there is not much motion, and the artifacts are too much at ISO800 and over. If there is motion, it will turn to an unusable mess. Using a Nikon stabilized in some way (even if it’s a tripod with 1kg on each of its legs) yields a wonderfull filmic image but the codec is not up to the task of high quality production. It’s artifacted before you even start working on it, color correction, etc. 220mbit gives you the room to work, even if you are not interested in effects. It also allows very high quality denoising because there is more noise detail that can be used to detect it.